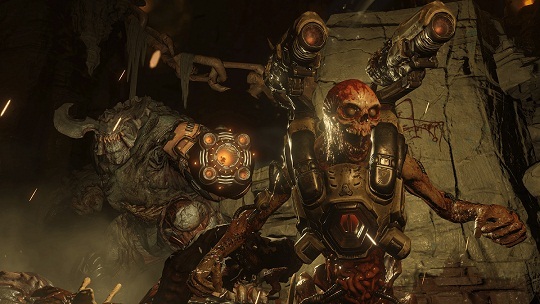 The developer ID Software will start Closed Alpha test for it’s already long under development Project Doom this weekend. How you can participate in the Closed Alpha test, the system requirements and what content you expect, you will find them here. The closed alpha phase will begins on 23rd October at 6 clock and ends on 26th October at 6 clock. If you are the owner of Day One Edition of Wolfenstein: The New Order, then look at the game’s package that comes with a code to participate. At least on Xbox One and PC, this is a prerequisite for participation. On the PlayStation 4 you have to login with your e-mail address on the official website and get a Key with some luck.